The FiberMate2™ links your FT-IR or UV-Vis spectrometer to fiber optic probes. 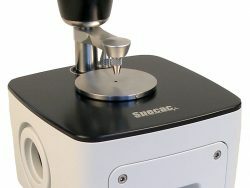 Equipped with large ellipsoidal mirrors, the FiberMate2™ efficiently transmits the UV-Vis or FTIR beam of the spectrometer through the fiber optic probe. The FiberMate2™ utilizes all reflective optics, optimizing the wavelength range of the fiber optic probe employed. FiberMate2™ comes with two SMA connectors for easy installation of the fiber optic probe and it is equipped with PermaPurge™ to maintain the purge of the system. 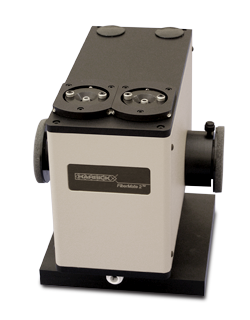 The FiberMate2™ interfaces external optical systems to the spectrometer and is well-suited for optical testing of fiber optics for photonics applications. Beam condensing optics efficiently transmit light to and from fiber optic probes. All reflective optics maximize the wavelength range of the fiber optics employed. 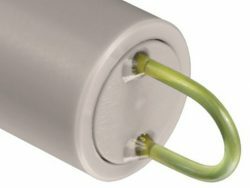 Two standard SMA connectors for easy installation of fiber optics probes. Designed for use with visible, near-IR and mid-IR fiber optic probes. 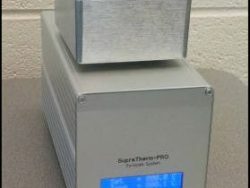 Harrick’s exclusive PermaPurge™ enclosure eliminates interference from atmospheric infrared absorption bands in the infrared and protects against stray light in the UV-Vis. 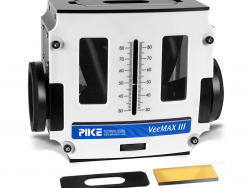 Compatible with every major FT-IR spectrometer and some UV-Vis instruments. Prealigned and ready for the most challenging fiber optic application. MultiLoop-MIR™ for infrared ATR measurements. Omni-Diff for Vis-NIR and IR diffuse reflection measurements.